Dental plaque, a sticky film that forms on your teeth after you eat, is responsible for gum disease. Also called periodontal disease, gum disease develops when plaque and bacteria accumulate and grow between your teeth and gums. Your immune system reacts to the attack by producing inflammation. The earliest stage of gum disease is called gingivitis. When it advances to include connective tissue and bone, it is known as periodontitis. Without professional intervention, severe gum disease often leads to tooth loss, but that’s not the only threat. 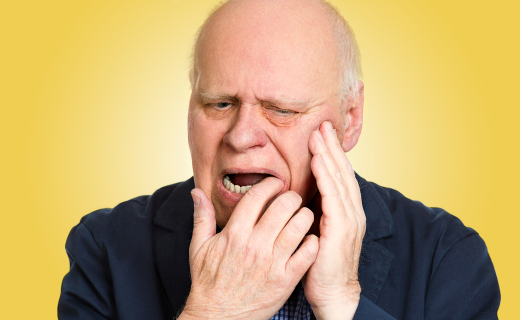 Research has shown that periodontal disease is associated with serious conditions like heart disease and diabetes. To avoid gum disease, incorporate the following five habits into your lifestyle. Brush your teeth after each meal whenever possible. If this is not an option, brush at least twice per day. Brushing after eating removes food particles and plaque that become trapped between your teeth and in the crevices of chewing surfaces. Be sure to brush your tongue as well; its surface is a great place for bacteria to hide. Use dental floss at least once every day to clean between your teeth. Your toothbrush can’t reach all of the plaque and food debris trapped between your teeth and along your gum line. Rinse with mouthwash after brushing and flossing to kill germ and remove even more plaque and food particles. Be aware of the risk factors for gingivitis and periodontitis, which include tobacco use, poor diet, genetic tendencies, and age. You can’t eliminate all risk, but you can reduce your chances of developing gum disease by living a healthier lifestyle. Discuss how to prevent gum disease with your dentist in Bradenton. Have your dentist perform a periodontal exam every year. This advanced examination inspects your teeth, gums, bone structure, and plaque levels for identifiable risk factors and early signs of infection and inflammation. Early intervention can prevent mild gingivitis from progressing to periodontitis.